We're back with a new episode. For your listening pleasure Episode 19 : August 1989. 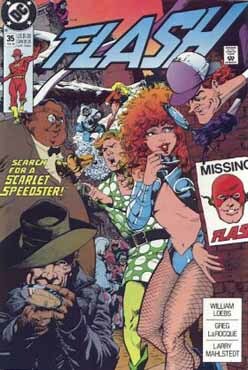 First up, we look briefly at Flash 35 where our buddy Mark Shaw, Manhunter makes an appearance, in helping to look for Wally West. This book didn't go on sell until December of 1989, but due to the arc starting in Manhunter, this story would have to take place at this point. This story is continued from Flash #34. 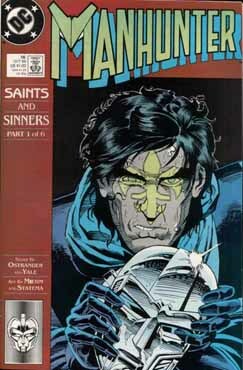 By virtue of Manhunter's appearance, this story must take place chronologically prior to the Saints and Sinners storyline which begins in Manhunter #18. This story reveals that there are two Turtles. The original Turtle is the mastermind of the gang and a former foe of Jay Garrick. The Turtle Man was a foe of Barry Allen and was later disfigured in a lab accident. Then, at forty six minutes in, we look at Starman 15. 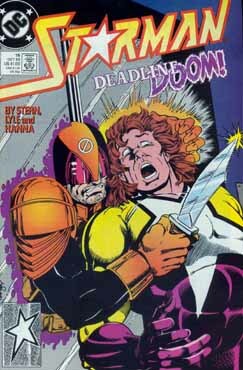 This month we're introduced to DEADLINE! Finally at one hour and nine minutes in, we end with Cop-A-Comics Comic Rack. QuantumCast: Where buddies Gene Hendricks and Adam Worth take a look at a great comic from the late 80's/early 90's.